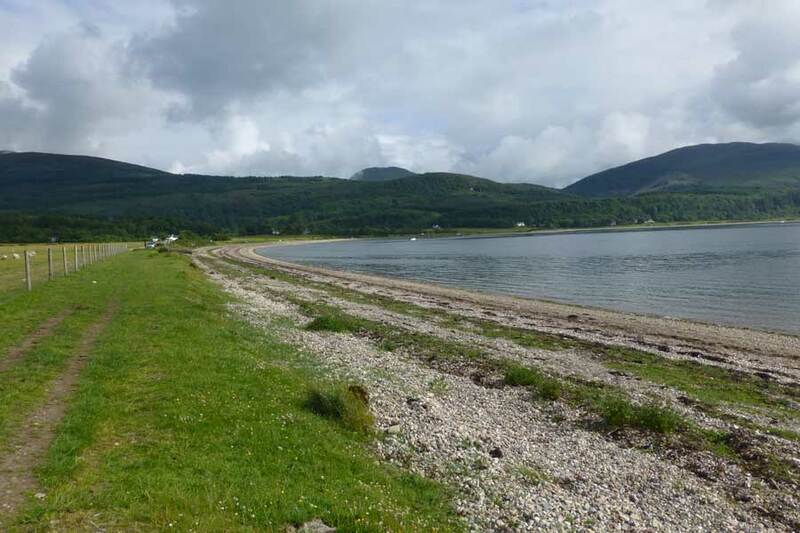 Cuil Bay is on the south‐west part of the Ardsheal peninsula north west of the village Duror on the eastern shore of Loch Linnhe. 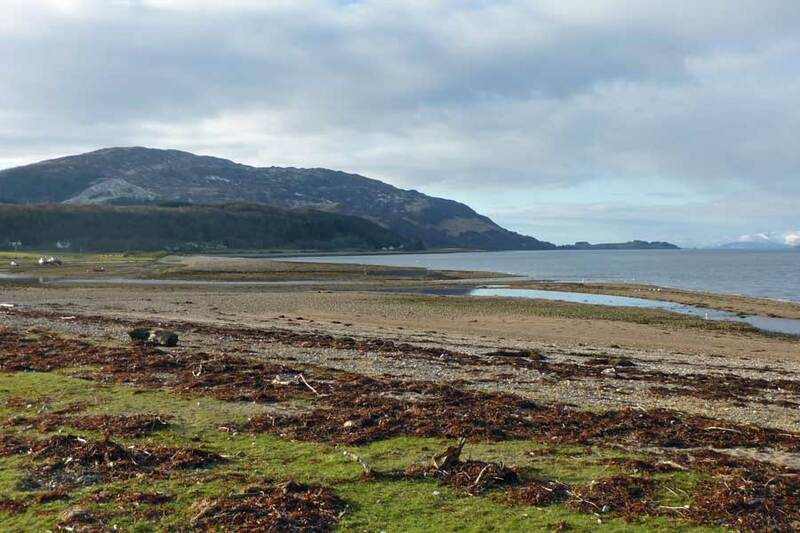 Cuil Bay is, a long shingle and sand beach which is a popular spot for bird and wildlife watching. 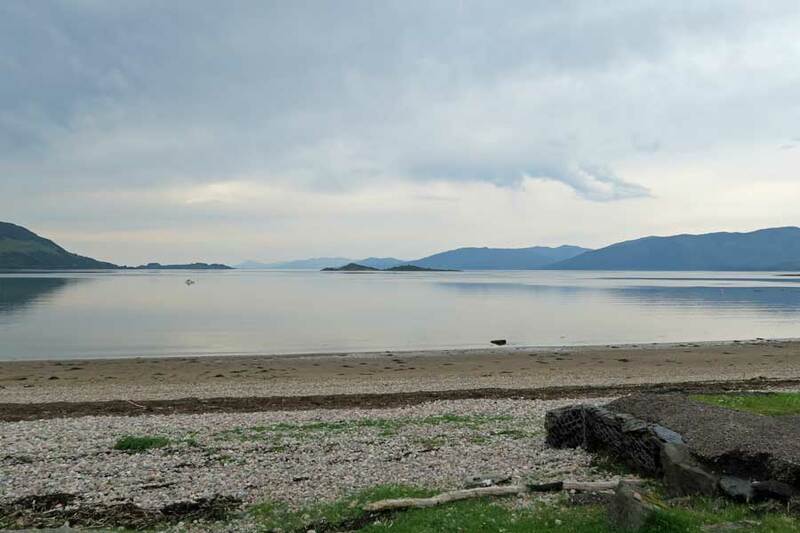 This is beautiful and peaceful place with some fine coastal views across to the islands of Balnagowan, Shuna and Lismore. 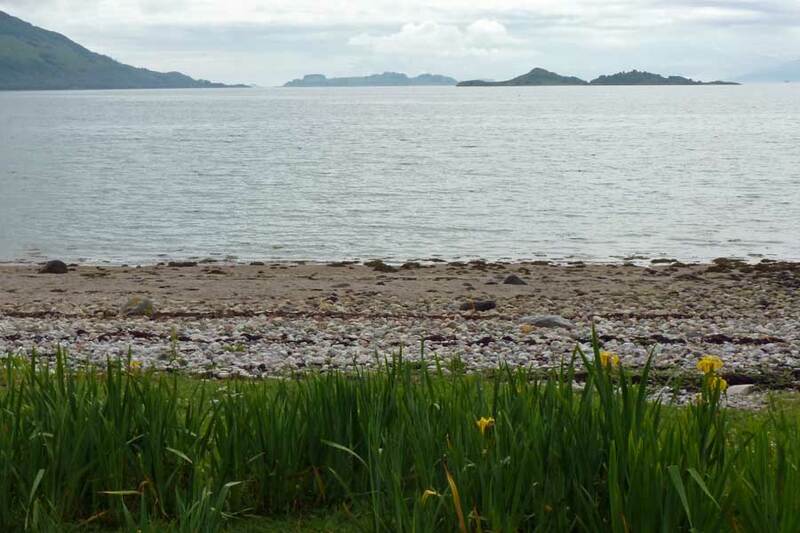 There is parking on the side of the minor road behind the bay.